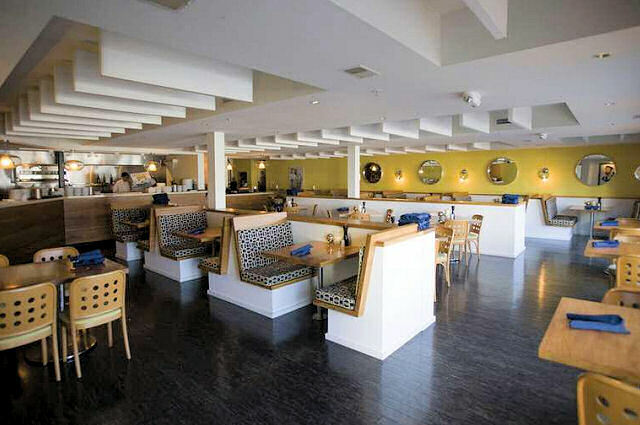 The Marina Grand Resort is full service condo hotel located in the New Buffalo Harbor. 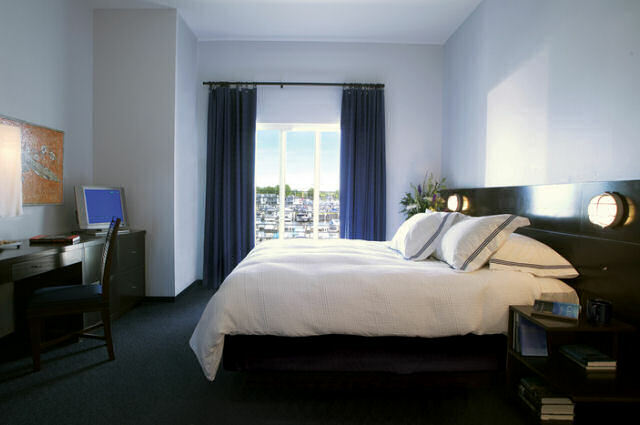 The hotel offers luxury accommodations for overnight and extended stay. 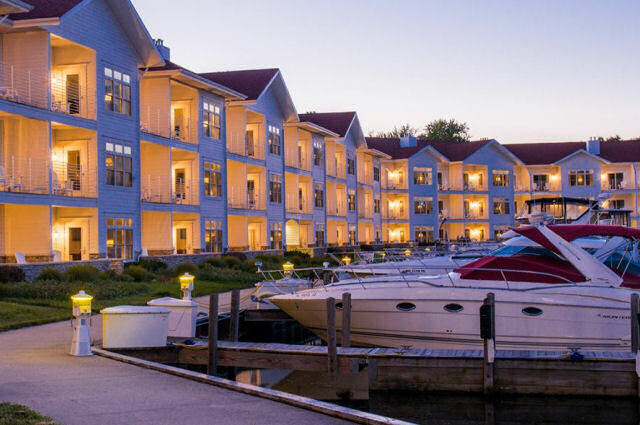 Within walking distance of shops, restaurants and the New Buffalo Beach Park, the Marina Grand Resort is the perfect getaway. 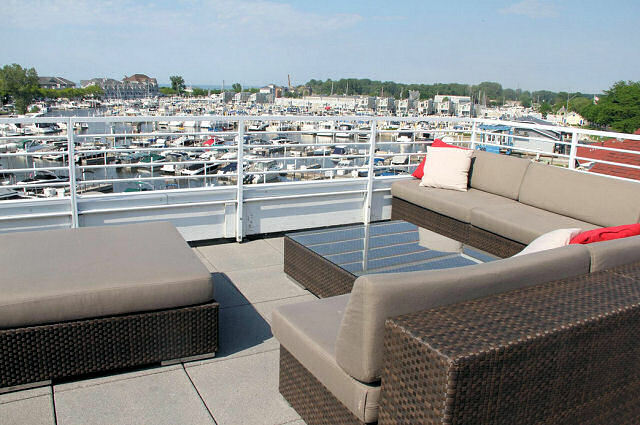 Every guest room at Marina Grand Resort has a patio or deck looking out over the New Buffalo Harbor. 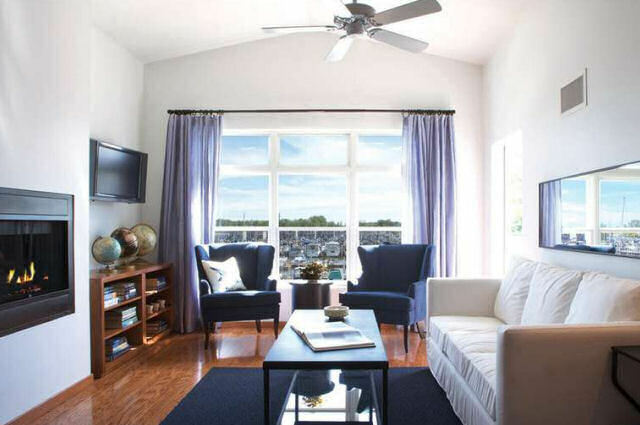 One-bedroom, two-bedroom and three-bedroom suites include fireplaces, outdoor seating, a fully-appointed European kitchen, dining area, living room and soaking tub. 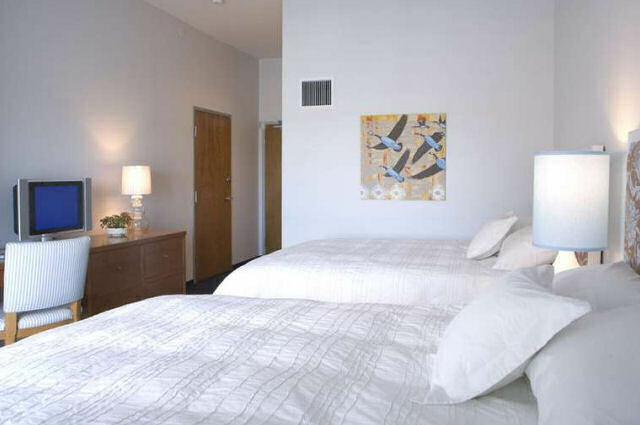 Larger units comfortably accommodate up to eight guests. In addition to all that the Harbor Country region has to offer Marina Grand Resort offers outstanding amenities right on the property. 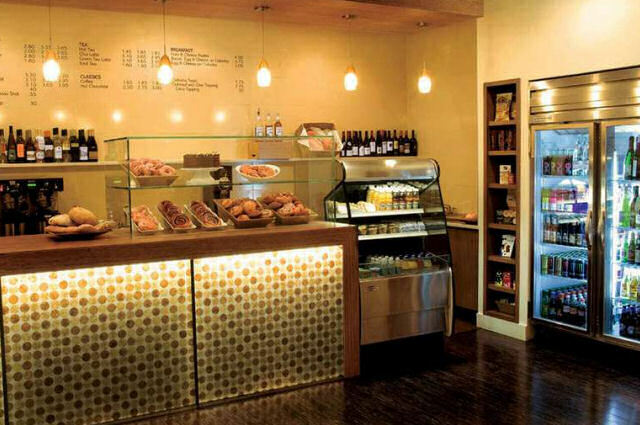 A highly acclaimed waterfront restaurant, coffee bar and market. Indoor and outdoor pools rooftop deck fitness and game room and a full service marina are all a part of the Marina Grand experience. 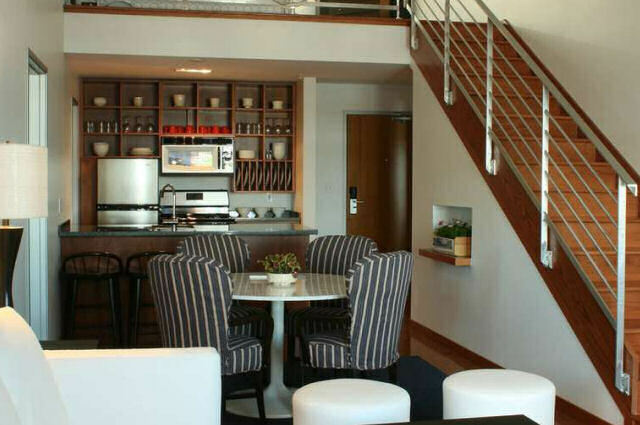 The hotel is a favorite accommodation for family gatherings and conferences up to 100 people. Beach Towels & Chairs – One of the biggest draws to the area is our beautiful lakefront park and beach. Complimentary beach towels and chairs are available to hotel guests throughout the season. Ben & Jerry’s Hotline – Your favorite flavors, delivered right to your door. You specify the number of spoons, but bowls are discouraged. Delivery from 8am-10pm. Pick-up at the Front Desk from 10pm-8am. Bicycles – Aerobics are great, but there’s something wonderfully mellow about discovering the neighborhood on a classic beach cruiser. Available to hotel guests for complimentary rental spring through late fall. DVD Library – The library is stocked with a range of family fun, action, comedy, romance and more. 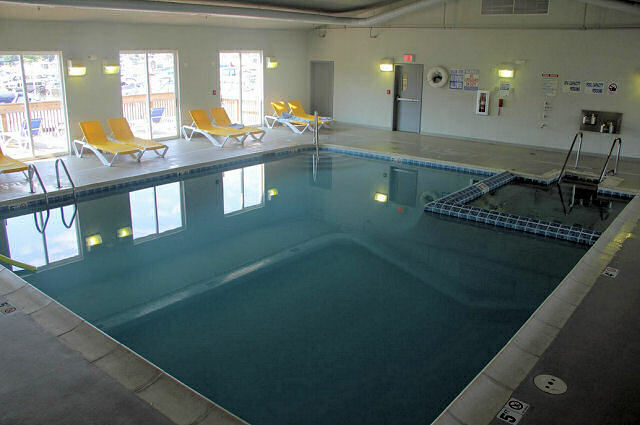 Rentals are complimentary and unlimited to hotel guests. Evening S’mores – Bundle up and gather round the Terrace Room fire pit for cocktails, conversation and a stunning Michigan sunset. Complimentary s’more kits and blankets are available to hotel guests Monday-Friday from 5-7pm and Saturday-Sunday 4-6pm, November 1 – May 1. Fitness enthusiasts don’t have to skip a workout when visiting Marina Grand Resort. The fitness room is equipped with a treadmill, recumbent bicycle, universal and elliptical machines. Game Room – For the kid in everyone, the game room is outfitted with Foosball, ping pong and classic arcade games. Guests of Marina Grand Resort enjoy an indoor pool and Jacuzzi year-round, plus an outdoor pool and marina-side sundeck during the warmer months. Towel service is provided. Massage Therapy – Get the kinks out and relax with Swedish or deep tissue massage in the wellness room. Therapists are available Monday-Friday 5-9pm, Saturday 10am-9pm and Sunday 9am-1pm. Advance reservations are recommended. 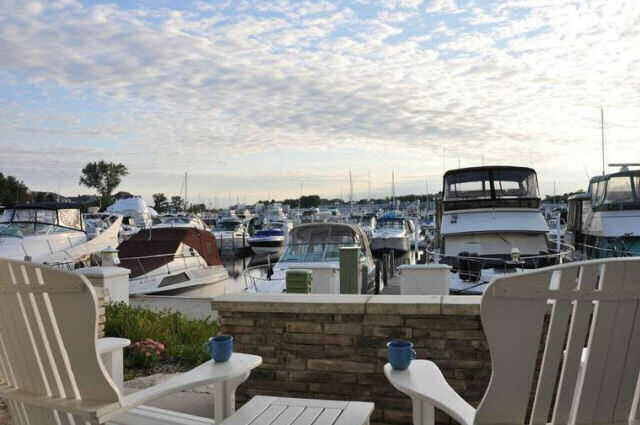 Oselka Marina is a family-owned full-service marina with direct access to Lake Michigan. In addition to slip rentals and boat storage, wave runner and boat rentals, yacht cruises and fishing charters are also available in season. 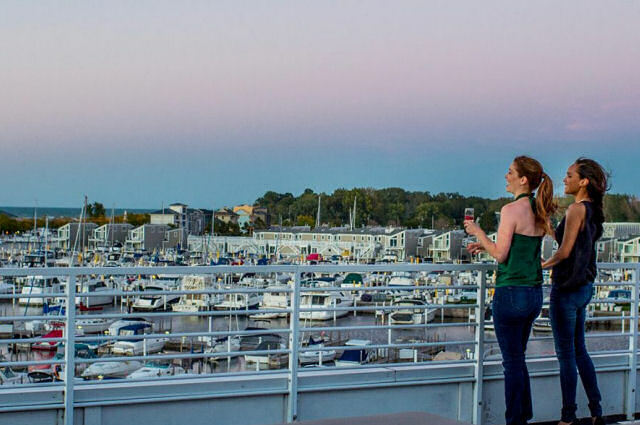 Rooftop Deck – Enjoy lovely views of Lake Michigan and the marina from the breezy rooftop deck, open May-September. 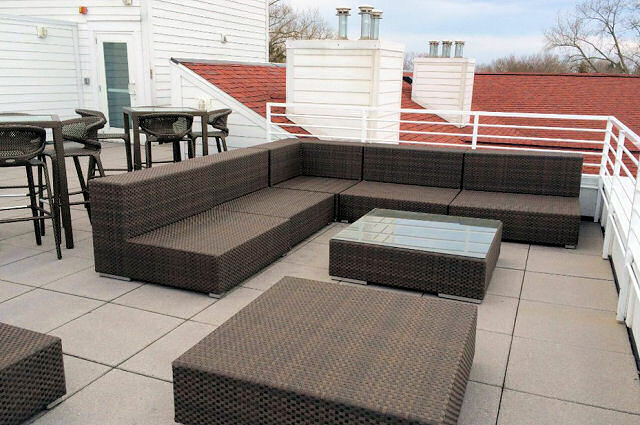 Perfect for morning coffee or evening cocktails, the rooftop is also seasonally available for wedding ceremonies.